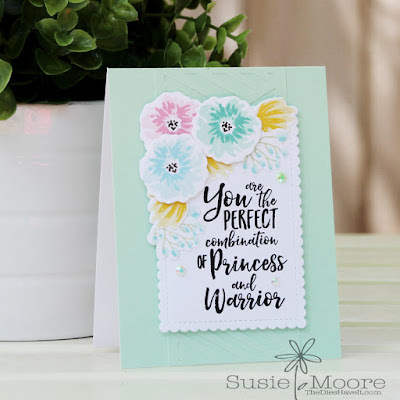 Today I am sharing my card over at the Essentials by Ellen Pin-Sights Challenge! The colors are perfect for me this time. 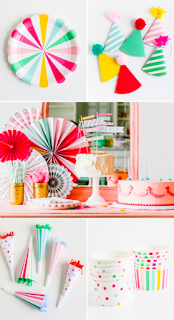 I love the mint and pink especially! I used the Courage fundraiser stamps and dies to make all of my flowers. The quote is from the same set. If you are inspired by the Pinterest board above, be sure to play along. You might just be the randomly selected participant who receives a $50 gift certificate to the Ellen Hutson store. Come on now - you can't beat that! To be eligible, you MUST use Essentials by Ellen products and the current Pinterest board as inspiration. Then you can link up your creation using the inlinkz button on the challenge post. Have fun creating and I'll see you again tomorrow.